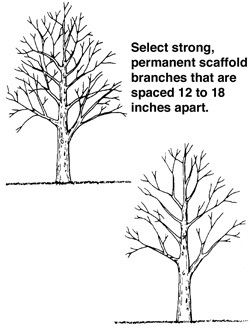 Pruning/ Trimming trees to remove dead, diseased, and damaged branches can be done at any time and on any size tree. But if you want to promote good tree structure, the best time and quite possibly the only time to do this without harming the tree, is when trees are young. The following link is an excellent resource for understanding more about young tree pruning. Please contact AAA Tree Experts by calling 704-366-1134 or clicking here to schedule a free evaluation of your tree health care needs.